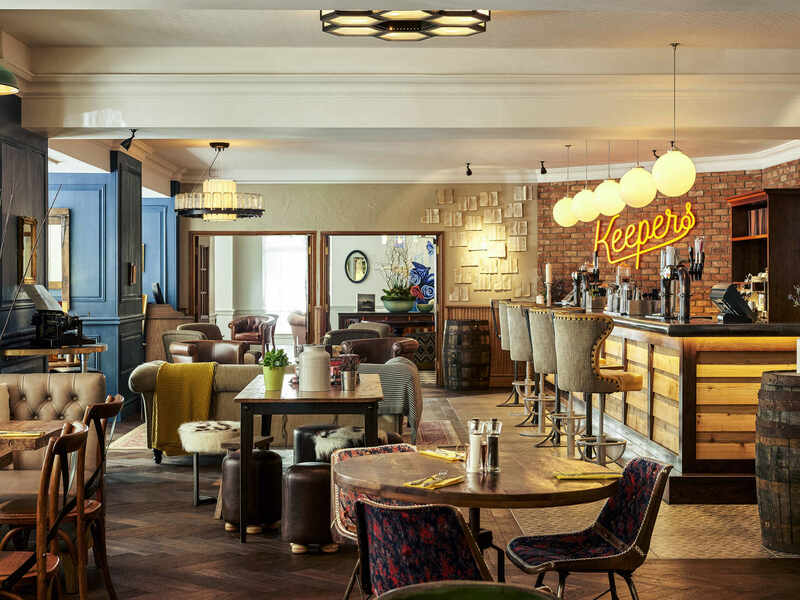 Inspired by the city’s art scene and historic architecture, Central Design Studio created a bee-themed interior for The Keepers, the restaurant of Mercure Bristol Grand Hotel. 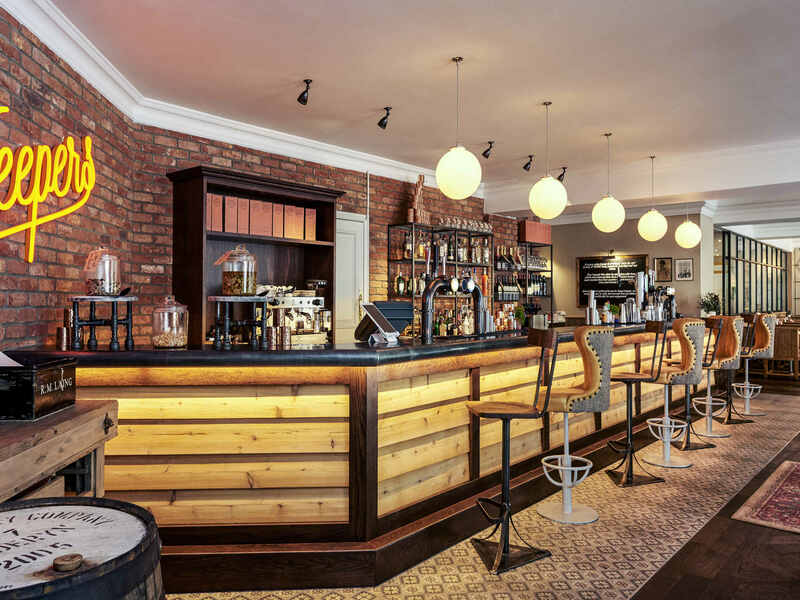 They commissioned Artifact Lighting to create five supersized globe pendants to hang over the bar in the eclectically styled space. 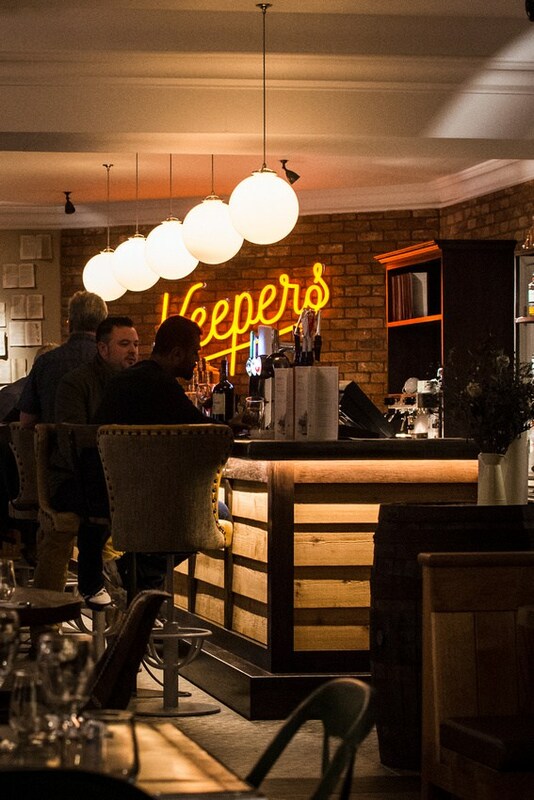 Our custom white glass globes are set against a bare brick wall adorned with ‘Keepers’ in neon lighting. The contrast between our classic pendants and the 1980s inspired lettering behind reflects Bristol’s fusion of styles that influenced the restaurant design. Our bespoke opaque glass shades diffuse the light, providing a soft, ambient glow that contributes to the relaxed atmosphere. 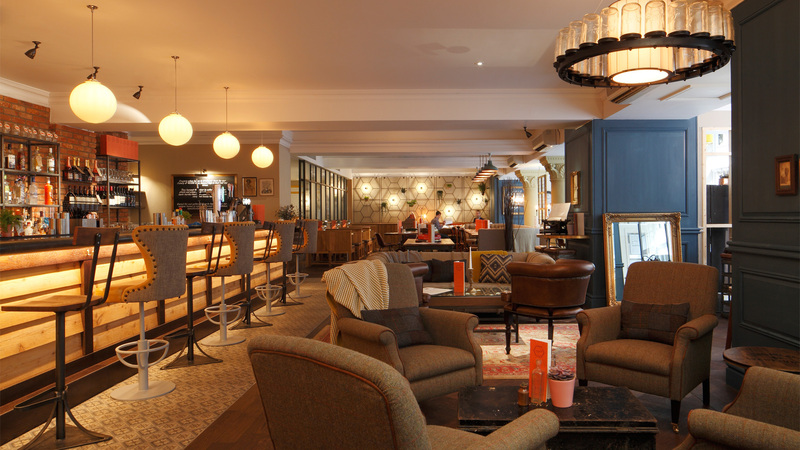 Embracing the original characteristics and charm of the grade II listed building, the simple, vintage inspired design of these shades complements the gilded frames hung on the Victorian wood-panelled walls. With a diameter of 30cm, these specially made glass pendants are a bold, striking feature in the casual restaurant. The large globes dominate the space above the bar, hung on our silver braided flex, from simple industrial ceiling plates, accentuating the sheer size of the fixtures. Our traditional fixtures with a contemporary twist reflect the overall aesthetic of the venue. 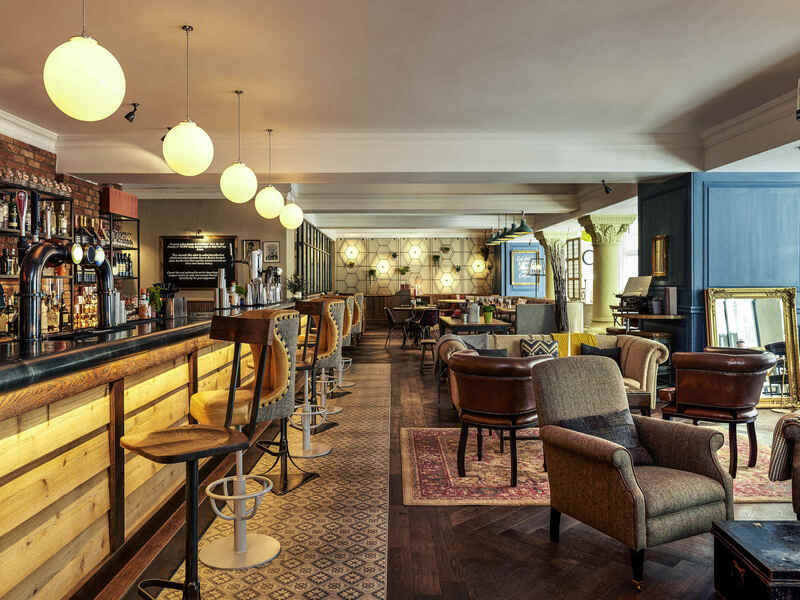 Contemporary honeycomb tiled floor, elaborate Victorian stone columns and a chandelier made from repurposed honey jars come together to form a patchwork of design styles for the hotel bar that is sure to be buzzing with customers every weekend. 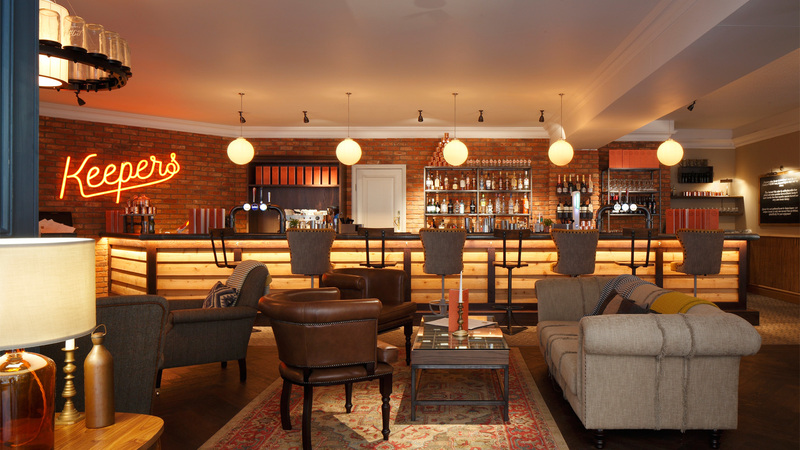 For more on our bespoke design services, please get in touch.